The most interesting opening to hit El Segundo in a long time came at the start of September. 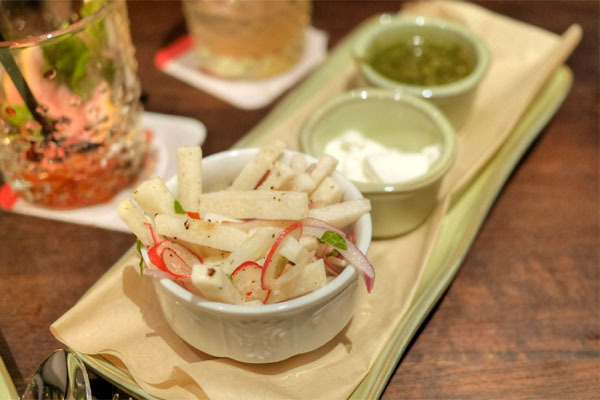 Named after Rancho Sausal Redondo (a land grant that once encompassed much of the area south of LAX), Sausal aims to present a modern take on Alta California, rancho-inspired cuisine, with a particular emphasis on wood-fired, slow-roasted cooking. 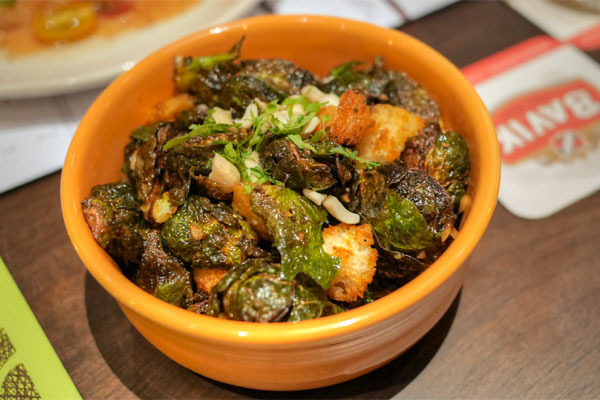 It's the work of partners Sorin Costache and Joseph Suceveanu (GM and founder of Santa Monica's Il Forno, respectively), as well as Chef Anne Conness. About the Chef: Conness was born in Florida but raised in Northern California. She attended Georgetown, majoring in English, and during her time there, cemented her interest in food and cooking after a life-changing meal at Jean-Louis Palladin's eponymous restaurant at the Watergate. Following graduation, she moved to Los Angeles and worked in entertainment as a set background painter, then later took a position in Warner Bros' postproduction department. Already in her thirties by this point, Conness decided to change careers and enrolled at the Epicurean School of Culinary Arts in West Hollywood. After finishing, she landed a gig at Wolfgang Puck's iconic Chinois on Main, working under Exec Chef Mako Tanaka (who helped open the restaurant in 1983 with Kazuto Matsusaka of Beacon fame). Next came stints at Campanile and Water Grill (helmed by Michael Cimarusti at the time). She then went to work for Alex Scrimgeour at Saddle Peak Lodge and followed him to the short-lived Alex (which occupied the address most recently home to Hatfield's). Conness secured her first Executive Chef role in 2002 at Charles Nuzzo's EM Bistro in WeHo, but left in 2004 despite considerable accolades. Her next job was that of EC at Napa Valley Grille, where she earned acclaim for revitalizing the somewhat chain-y restaurant; however, she was out the door by December 2006, replaced by Joseph Gillard. 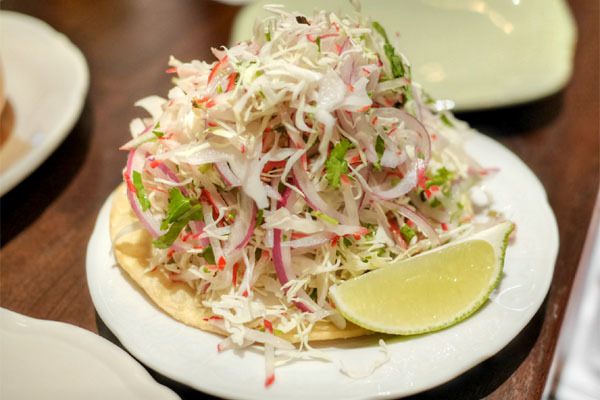 In 2007, Conness partnered with Mike Simms, and they eventually opened Simmzy's as well as Tin Roof Bistro in Manhattan Beach in 2009, both of which have aided the rise of the South Bay dining scene. Sausal takes over the former homes of Indian Summer and Electric Bikes LA (they've been combined). It's an attractive room, vaguely rancho-themed, anchored by a dual-sided fireplace and a mural by artist Celeste Korthase. 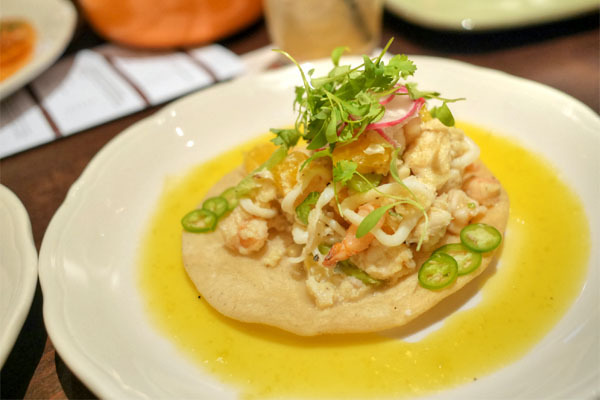 As for Sausal's menu, it's billed as "Nuevo Rancho," incorporating Latin American cookery alongside a Cal cuisine ethos, and reads like pretty much what you'd expect from an upscale Mexican joint. To drink, there are about a dozen beers available, a compact South American-leaning wine list, a few cocktails (with decent back bar), and Stumptown coffee. Corkage was advertised at $19 a pop, with no limit. Click for larger versions. 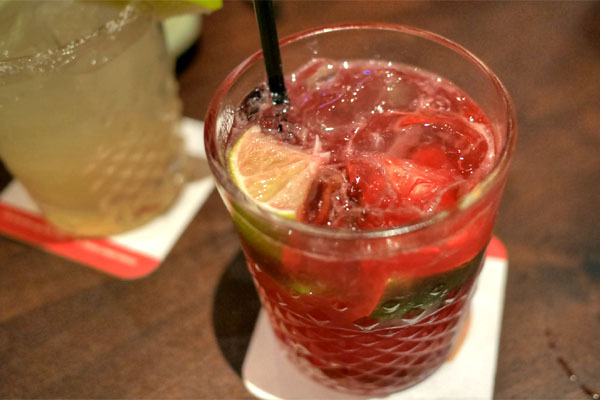 This take on Brazil's iconic caipirinha was, not surprisingly, much sweeter than you typically find, with the fruitiness of the prickly pear front and center, offset only somewhat by the lime. We began with the crudo, which was one of the standouts of the night, the clean cuts of fish pairing seamlessly with the sour/spicy/sweet nuances in the dish. Perfect crunchiness from the toasted corn too. Brussels came out out bitter and charred. Tasty sure, though I wanted more funkiness from the dried shrimp. The croutons didn't really do much for me either. 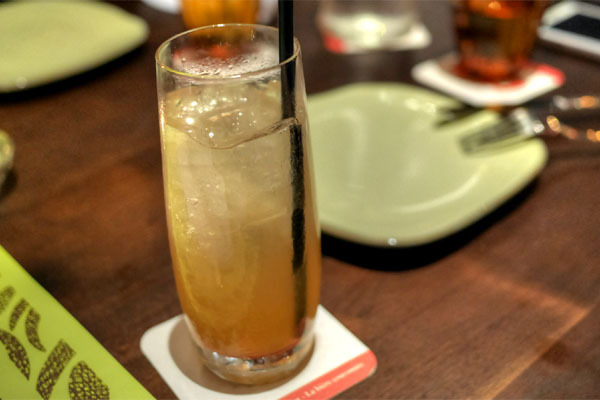 A take on the paloma went down easy, the bright, floral flavors in the drink countered by the smokiness of mezcal. 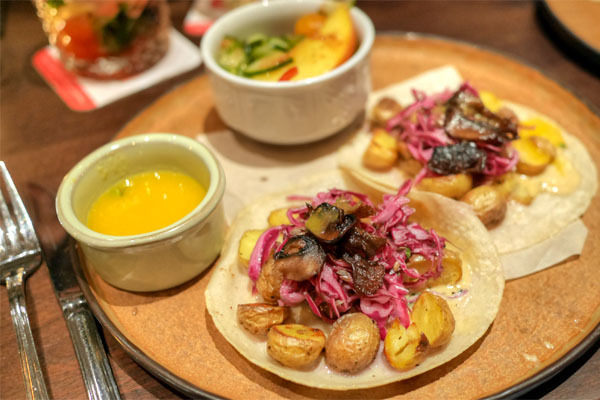 Tiny potatoes were elevated by the richness of poblano crema in a somewhat unconventional taco. Good textural contrast from the shreds of red cabbage, and I enjoyed the sweet-hot punch of that habanero salsa too. Tuna was paired with a sweet-ish, almost Thousand Island-esque condiment that made for slightly muddled flavors. I definitely would've liked more heat as well to punctuate things better. 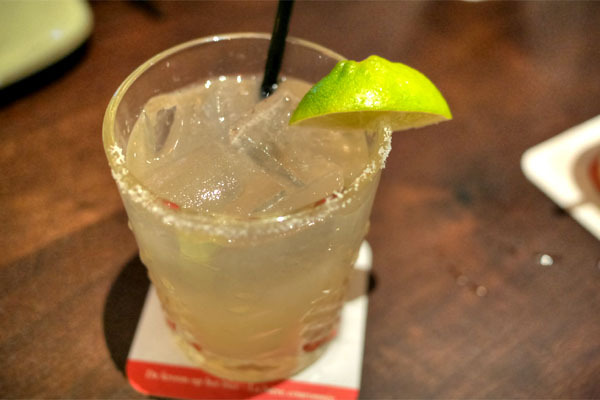 Sausal's margarita was traditional at its core, with a touch of spiciness on the finish. 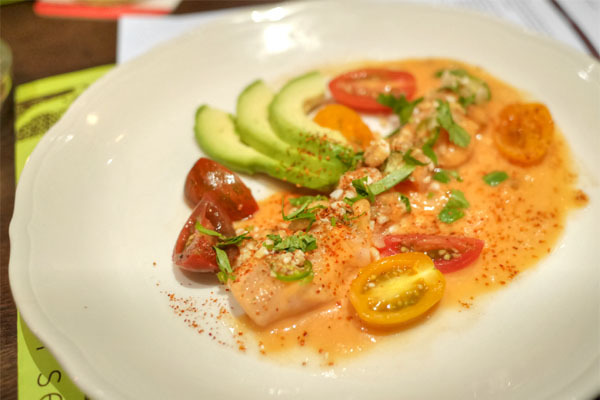 A ceviche presented a patchwork of herby, sweet, and tart flavors, though I wanted more brininess, more distinction between the various items of seafood. A crunchier tostada would've been appreciated as well. 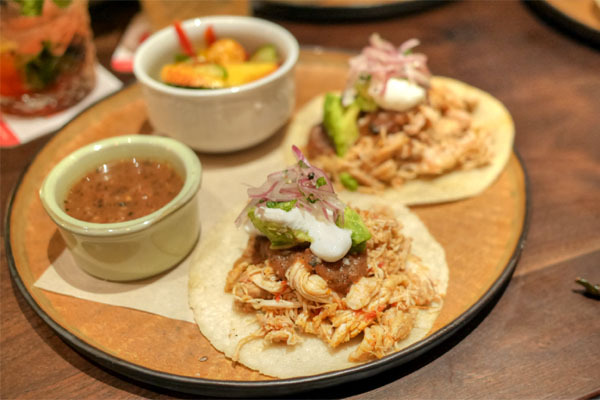 The tinga ate cozily, its tomato-forward taste accented by a whisper of smoke from the salsa. Nice use of the pickled onions for acidity. 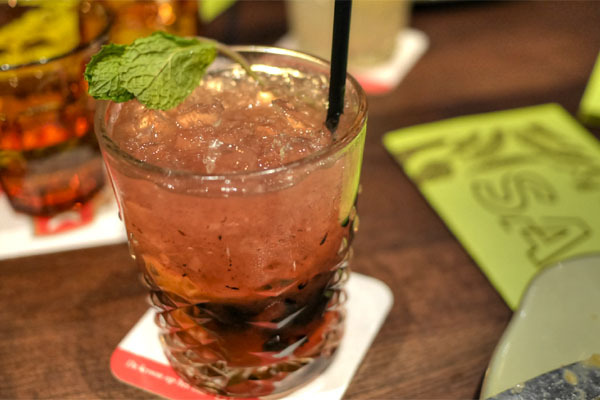 Lots of ginger at the start here, with berries coming in later, the whole thing accented by the freshness of mint. 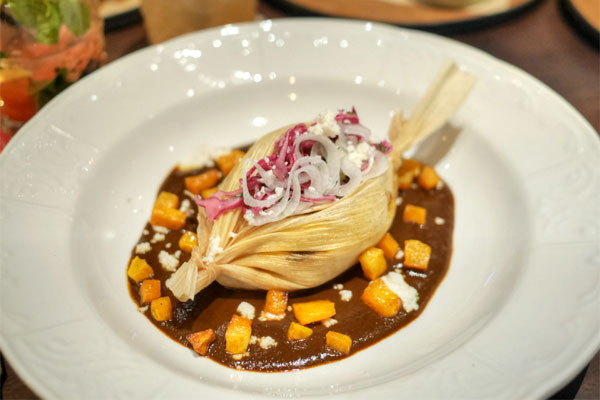 The tamal definitely showed off the heft of the mole, a sweet, savory, earthy depth that paired well with the shards of duck. Some very strong corn notes from the masa stuffing as well. Beef & Goat Birria [$19.50] | slow-simmered mixed meats served in chili broth w cilantro-onion relish, jicama slaw, tortillas & a spoon! 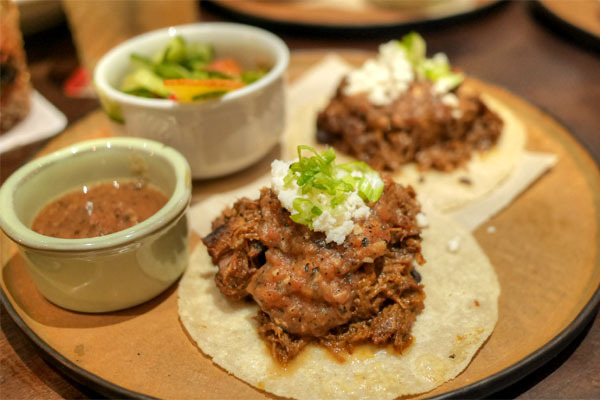 Sausal's take on birria largely met the mark. 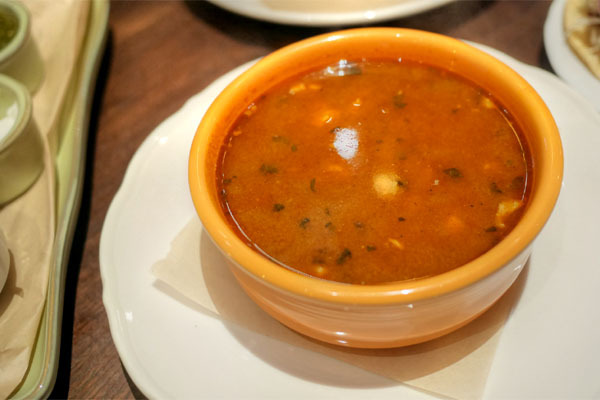 The stew did a pretty good job conveying the rich, spicy, tangy flavors of the classic preparation, and the tender cuts of meat went particularly well with the accompanying tortillas. I was a fan of the onions here too, which gave up a great zestiness. 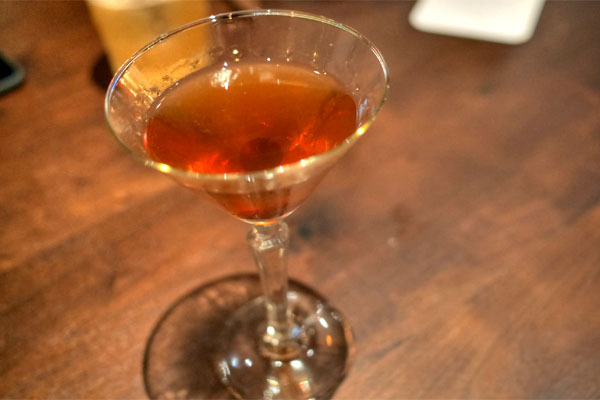 This variation on the Manhattan was the booziest drink of the night, the bourbon really making itself known against contrasting bittersweet and herbal notes. Brisket came out sweet, meaty, and as tender as you'd want, with the cheese serving as an appropriate accent. Yum. 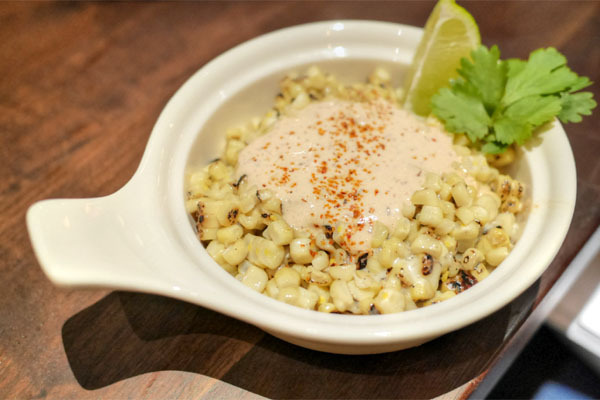 Esquites were very tasty--sweet and creamy with a touch of smoky spice. 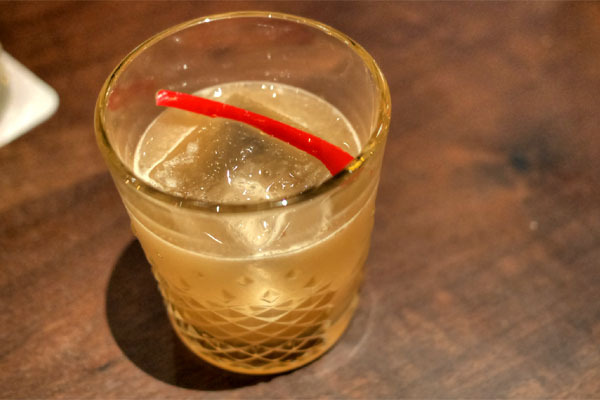 In our final cocktail, we had a smart combination of spicy rye and sugary agave flavors as a base, with a back end that was all about a tingling heat. 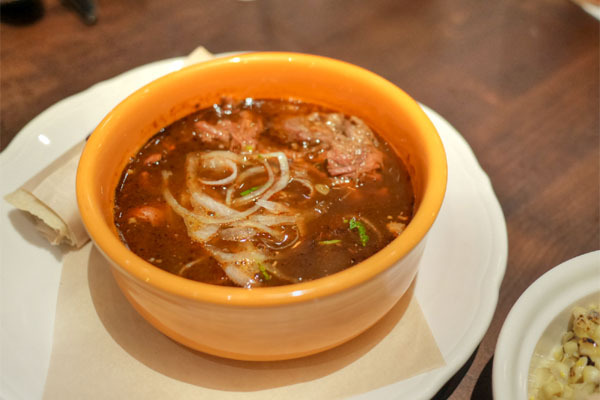 Given my penchant for pozole, we had to end with the soup. It was one of the highlights of the night for me, displaying all the hearty, homey flavors that I was expecting, combined with a pervasive spice and great textures from the hominy. 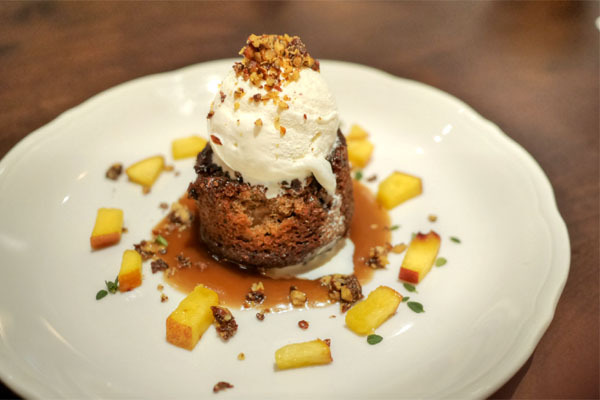 We were quite full at this point, so we opted for only one of Sausal's desserts, which are the work of Consulting Pastry Chef Natasha MacAller. The cake was a winner as well, loaded with plenty of sugary dark fruit and perfectly matched to the vanilla ice cream and nutty crumbles up top. 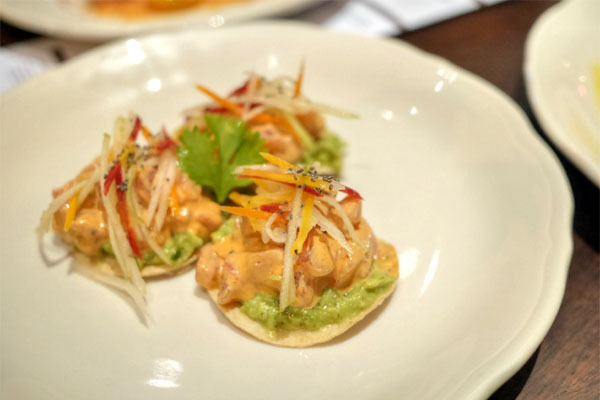 I was generally contented with Sausal, especially given where it's located, though a few of the plates could certainly use refining. Conness has got a nice sort of Cal-Mex menu going on, one that's familiar yet incorporates some compelling facets. A positive development for El Segundo.